Dash Point began its gradual growth as a community not long after the turn of the century. Over the first couple of decades, land was purchased from the natives by settlers who then developed their respective areas of land into a small community that grew over the century. Some of these people were Churchill, Arthur, Menzies and Wallace/Roots. Most of the activity of the first decade on Dash Point involved the amusement and sports of picnickers from Tacoma. 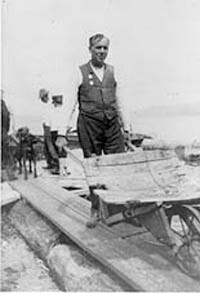 It was a simple matter to rent row boats from the Foss Launch Company or to catch one of the small launches owned by McDowell to make an afternoon visit or even an overnight or weekend visit. In 1907, James Churchill, one of the Dash Point View Addition owners, became the first resident of the point. He and his wife, Linna, came from Minnesota. He was the local real estate agent, apparently for all four of the land developments on Dash Point. He was also a justice of the peace and often called mayor of Dash Point. He built a grocery store and a dance hall on the point. In 1912 a U.S. Post Office was added to Churchill's store. Although his wife Linna was the postmistress, it was usually James who sorted the mail and distributed it when the "Foss Lillian #9" brought it to Dash Point. 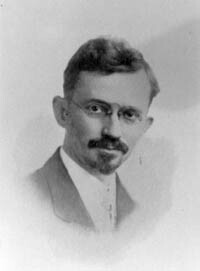 Richard P. Milne, superintendent of the composing room of the Tacoma Ledger, was the first to build a house on Dash Point in 1907. Another early resident was Louis Eberhardt who was quite a young man with a young family. He had retired at an early age, having been successful in several real estate ventures. The Eberhardts moved to Tacoma from California and began coming to Dash Point in 1909. They built their home next to the Milne home around 1915. In 1909 J.W. Hillis and his wife Lydia came to Dash Point. John had varied careers and ended up as a real estate entrepeneaur in Tacoma. The Dash Point Social and Improvement Club was organized and registered on Sept. 4. 1907. The first officers and trustees were Roy Thompson, H.R. Cox, Richard P. Milne, J. W. Wood, E.J. Pannell and F.U. Main. The first meeting was held in Churchill's store. Dues the first years were $5 per year. In 1912 a new clubhouse, which included a dance hall, was built on property that was originally deeded to the Improvement Club for the purpose of a park. This provided Dash Point residents a place to gather and organize, relax, celebrate, and complain. It was the center of important meetings not only for the club itself, but for the county meetings pertaining to the destiny of the area as well. There were no roads to Dash Point unless one traveled across country on foot or by horse to the dirt roads that went through Julia's Gulch to the top of Dash Point hill. This is most likely the road now known as Browns Point Boulevard. It was, however, a dirt road and dirt roads in the Pacific Northwest at that time were usually impassable especially in the fall and winter months. The water supply for Dash Point came from two wells located near the beach where today's park and parking lot are located. One well, which had a board fence around it, was for domestic purposes and served six to eight families. The other was a horse well which was in a swampy area that had murky, brackish water in it and was infested with mosquitoes. By 1912 a grocery boat and a meat boat came to Dash Point once a week. Mr. La Vanway owned the grocery boat. He sold staples, canned goods and fresh produce. Another essential retail boat, the "Dispatch #5" owned by Standard Oil, delivered keronsene for lamps. All of these boats also served Browns Point residents. The D-Line and other launches, for some reason, seemed inadequate to the Dash Pointers. The Dash Point Transportation Company was organized and purchased the "Chickawana," a 65-foot launch which carried 75 people. It had a 90-horsepower Wisconsin 6 - cylinder engine and traveled 10.5 miles per hour. Louis Eberhardt was the principal owner and the president of the company. It was financed by $100 shares plus $10 and $15 donations per year. During the summer it ran 11 trips per day. The company hired Art Nelson to pilot the boat. Its only destination was Tacoma. During this time stern wheelers and side paddlers were used for long distance trips. The Sound was a panorama of boats. The "Indianapolis" and the "Tacoma" were steamers which ran hourly between Seattle's Colman Dock and Tacoma's Municipal Dock under the 11th Street Bridge. They ran from 7:00 a.m. until 9:00 p.m. daily. 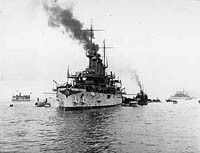 The "Flyer" was a relief boat for the "Indianapolis" and the "Tacoma." Clocks and households were timed by these three boats as their swells hit the beaches. Dash Point School became a reality in 1914 when a house directly south of the present dock was rented from T.H. Smith for $15.00 per month. The first teacher was Katherine B. LaFabre. Harry Kline strung the first and only telephone line on Dash Point. It was located on the exterior wall of a log cabin next to the school. Both the school and the original log cabin are now parts of private residences. After many years of rowing boats to catch launches going in and out of Dash Point, the Community Club contracted Pete Manson, who owned the best pile driving company in the area, to build a new dock for $7,777. The community furnished the labor. On a cold and very rainy December night in 1917, the lowest tide of the year, the community poured the concrete pilings. The dock had a house on the end for passengers and freight, and a sloping slip for loading and unloading. In the 1920's a 40 ft. high dive and springboard were donated by Roy Allen, one of the most prestigious members of the community. He was president of Star Iron and Steel Company in Tacoma. For many years his home was one of the showplaces of Dash Point. In about 1918 the bulk of the property, which is now the part adjoining the dock, was donated for the purpose of a park, by R.P. Milne and Louis Eberhardt. It was reported in Milne's personal memoirs that he felt coerced into donating the property. He had intended to build a bungalow hotel on it, but a petition by residents and condemnation by the Metropolitan Park Board prompted him to abandon his idea. Also in 1918 Harry Johnston deeded to the county the property in front of the present Lobster Shop and tennis court for the park. Johnston for many years was prosecuting attorney of Pierce County. He was a member of the Scotch Society "The Caledonians" and one of the area's staunchest supporters. Apparently many Dash Point residents considered him arrogant and quite outspoken, yet he had a very sensitive and creative side to his nature which was concealed from most of his neighbors. In 1913 a book of his poetry, entitled "The Scots Abroad the Nicht and Other Banquet Poems," was published. Some of the poems included "Our Own United States," "The State of Washington," and "Watch Tacoma Grow." Also during this period, the community formed its own volunteer fire department which eventually acquired what was then considered to be good fire fighting equipment. Due to the generosity of Milne, Eberhardt and Johnston, Dash Point had property for a park. On April 10, 1923 residents voted to put the property under the juridiction of the Metropolitan Park District. Soon after, the swamp was filled in and a fountain and parking lot were built. The dock was not deeded to the Park District until 1949.